An image from the 1973 film The Exorcist. One of the most terrifying horror films of the 20th century wasn’t about killer ghosts or murderous psychopaths: It was about demonic possession. Now, almost 50 years after The Exorcist terrified audiences across the world, the real deal has invited us to see a bonafide exorcism. The first trailer has been released for The Devil and Father Amorth, a documentary from The Exorcist director William Friedkin. 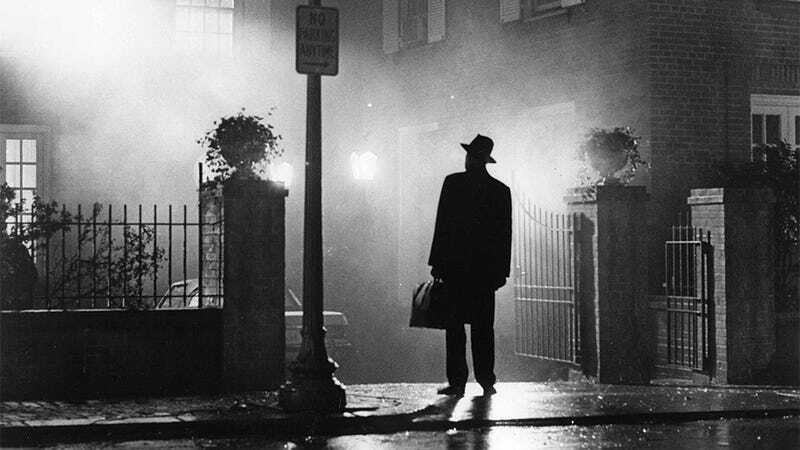 In May 2016, Friedkin was invited to witness and film an exorcism performed by Father Gabrielle Amorth, the head exorcist for the Diocese of Rome for over 30 years, before his death a few months after filming concluded. The documentary not only shows the exorcism of a woman named Cristina (a pseudonym), the ninth such exorcism between her and Father Amorth, but it also includes interviews with believers and skeptics of the practice. The demand for exorcisms has skyrocketed over the past couple of years, both in the United States and other parts of the world. For example, just a couple of months ago, a priest in Ireland had to ask the Catholic Church to train more priests to perform exorcisms, because he was overwhelmed with requests. Of course, there are those who see “spirit possession” as a way to explain away mental illness without treating the issue properly, though priests claim they’re able to spot the difference. The Devil and Father Amorth is getting a limited release in New York and Los Angeles on April 20.